Come October when temperatures drop down and it starts raining a bit too much for my liking, I often find myself reaching out for big chunky knitwear. The one above, modelled by Sabrina Loffreda and featured in Vogue Ukraine in January 2016, is from the Acne Studios AW 2016 collection (now sold out). I have rounded up 15 chunky knits and style outfits I love to inspire you. Enjoy! I love this look. In fact, I’m sold on the whole Diane Keaton vibe going on here with this all off-white outfit. These high-waist Palazzo trousers are a must-have. With its funnel neck and long sleeves, this sweater oozes style & simplicity. I’m also in love with this girl’s haircut, aren’t you!? Cashmere and grey always get my vote in Wintertime. With its ample cut and classic knit, this cashmere sweater is spot on. Brownie point too for these fab wool trousers. They would look great with this black shirt featured in my recent article on 15 timeless pieces to rock style like French women. This blue cotton-corduroy blazer and matching trousers or this colour-blocked Merino sweater would be great pieces to own. Her oversized turtleneck jumper is a great investment piece which keeps coming back season after season and one that will keep you warm. No selection of mine would be quite complete without a piece from Isabel Marant. This season, I love this Brantly cable-knit wool-blend sweater that will look great on Mango’s trousers mentioned earlier or on skinny jeans. Special mention to Marant’s NEW bag: the Kleeny leather & shoulder bag…a little boho beauty that would look great over a lot of these sweaters. What’s not to love about this LOVE jumper!? It has the best message to spread, a beautiful colour and a flattering cut. It will also go nicely with these fab Chester trainers. I simply can not resist a bit of sequin or lurex. When I saw this beautiful jumper, a mix of grey marl & metallic gold, my heart skipped a bit. A fashion staple, this cashmere roll-neck jumper is simply a must-have. Stylish and timeless, it will look equally great worn with these Joseph leather leggings or these grey wool-trousers from Mango. Last year, Mansur Gavriel had a gorgeous rusty chunky knit in their collection. This year, it is this baby blue merino sweater that gets my vote. Wear it with wide trousers and a pair of Veja for an effortlessly cool style. I certainly can not resist a nice grey jumper and this Dramatic oversized jumper (love the name!) looks incredibly cosy. I wear non-stop. The cut, the colour (THE COLOUR!! ), the softness, this big jumper has been nicknamed “perfection”. I’m naturally drawn to warm, earthy colours but this season is a real treat and this cardigan is perfect to wear over a simple t-shirt. I would layer it with other brown, khaki goodies for effect. As I’m often wearing my old Ugg boots and a comfy jumper, writing blog posts, I feel this is the perfect cardigan to hang out at home. We all need comfortable clothes to just hang out, do we!? The last of my selection is this lovely striped camel sweater. It would go nicely with this ACNE STUDIOS canvas tote which I love! That’s all for my 2018 chunky knits round-up. I hope you’ve enjoyed this and find some inspiration. I would love to hear which one(s) you love the most!? Lovely. 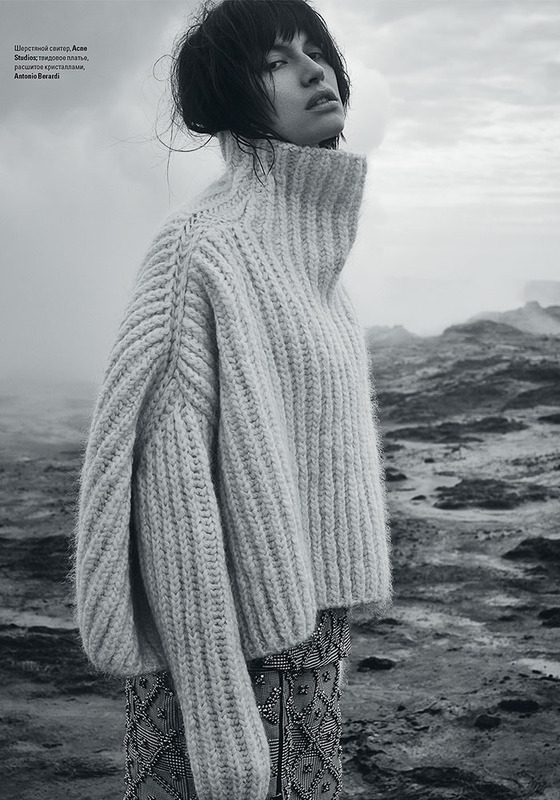 Think my fave is either 8, 10 or 11 – hard to choose just one… I have a particular weakness for chunky knits! I’d love an article about jupe-culotte outfits ideas – I bought some for myself recently and need inspiration! Would take every single knit – but especially the oversized one in black from Asos! The good thing is that a few are now 50% off! Where is the skirt from under number 4? Any idea? A lovely selection. 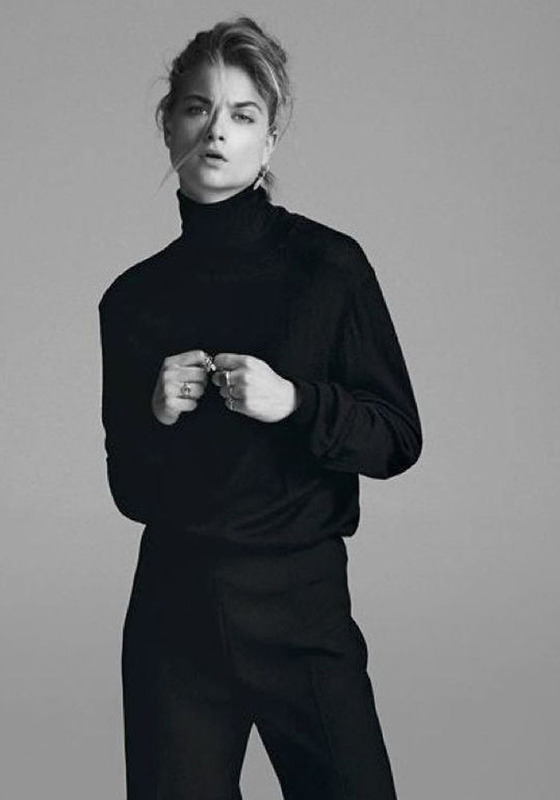 I was looking at both the first two from Mango and the Arket Masculine cardigan just this week. I have so many sweaters but need a good cardigan that I can wear with shirts. I have big, chunky ones and some neat merino ones, but I need something in between – chunky-ish but not big and baggy. Unfortunately the Arket one is sold out, so I will continue to stalk Ebay!